Home News Another WW2 bomb found in London waterways … is your site safe? Another WW2 bomb found in London waterways … is your site safe? A large area of London came to a standstill this week after the discovery of an unexploded WW2 bomb. London City Airport was shut down, roads were closed and residents living close to the find were evacuated while the Royal Navy dealt with the threat. Over 16,000 people had their travel plans disrupted. This live device was confirmed as an SC500 WW2 German air-dropped bomb that was discovered 10 metres underwater during routine pre-construction diving operations at George V Dock, not far from the airport terminal building. Ex Royal Navy commercial UXO divers using hand held magnetometers found the bomb in the dock bottom where visibility is almost zero. The device, containing 220kg of high explosive was taken safely out to sea for subsequent disposal by a diver placed charge. Fellows specialise in marine UXO problems including survey and disposal in both inshore waterways and offshore locations. UXO risk management work is demanding enough when dealing with UXO items on land. Finding and dealing with them in a marine environment requires a very special set of skills and Fellows, with its Royal Navy heritage can supply those skills to your location. 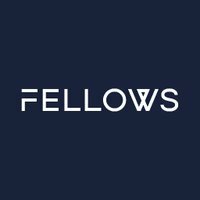 For more information on how Fellows can help to ensure the safe development of a site, or for an informal discussion of how we could assist with UXO risk at your location, call 08000 424 424 or email info@fellowsint.com.